Specializing in providing a non-invasive and drugless approach to support optimal brain function. Chat with Dr. Mark DeBrincat to determine if our 30 Day Neurofeedback Program is right for you! Schedule Your Brain Consult NOW! The theory of neurofeedback is based on a simple concept – When you have information on what your brainwaves are doing, your brain can use that information to change how it works. Neurofeedback is also known as EEG Biofeedback. Neurofeedback is guided exercise for the brain. It is actually a learning modality designed to retrain dysregulated brainwave patterns. In fact the Food and Drug Administration recognizes that neurofeedback has NEVER produced a serious side effect since it was first discovered over 40 years ago. For the past 40-years, neurofeedback has been studied in research labs at prominent universities throughout the world. Published scientific research has demonstrated neurofeedback’s efficacy in managing many neurological conditions such as ADHD, Autism, Migraine and Tension Headache, Insomnia, Chronic Pain, Post Stroke Syndrome, Anxiety and Panic Attacks, Depression and Memory as well as many others. Neurofeedback has been rated a Level One Best Support for ADHD by the American Association of Pediatrics. It is widely used by Olympic and professional athletes to enhance their sports performance. Neurofeedback has been used as an important tool by the US military in the treatment of PTSD and traumatic brain injuries. Schedule Your Health Consultation NOW! We are experts in providing neurofeedback therapy in the comfort of your own home. This means we ship everything to you so you can utilize the benefits of this amazing technology and neurofeedback program in an environment you feel most relaxed. Conduct daily training sessions when they are convenient for you and your family. With this approach, we are able to take what most neurofeedback offices do in 4-5 months into a 30-day extensive program. All clients begin with a personalized consultation to review your personal health concerns and goals. Your neurofeedback therapy is based on your unique needs and the protocols recommended are unique to your brain. With this personalized approach, we are able to offer a neurofeedback program, using additional supplements and nutritional plans, in an extensive 30-day setting. This saves you time and money! All clients have access to staff 24/7 for questions and technical support. From your Welcome Orientation Online Zoom Call to daily training sessions and brain mapping sessions, clients have access to staff members. We work with you step-by-step to ensure the highest results and progress during your 30 day program. Plus, we offer a range of other services to support you before and after your neurofeedback therapy. We are committed to you achieving your health and wellness goals! A healthy, balanced and properly regulated nervous system will produce the appropriate brain waves at the appropriate levels and at the appropriate times for any given situation. However, when the nervous system becomes tense and unbalanced as a result of subluxation, poor nutrition, stress, food sensitivities, drugs, or trauma, the brainwave patterns become dysregulated resulting in many different neurological symptoms and conditions. For example, if the brain produces high magnitudes of delta or theta, the person will likely experience attention and focus issues such as those associated with ADHD, cognitive decline, learning disorders, or symptoms related to concussions and stroke. If the person produces higher than normal magnitudes of alpha, they will likely experience symptoms associated with fibromyalgia such as pain, irritability, or depression. If the brain produces higher than normal magnitudes of beta waves, the person will likely experience symptoms associated with generalized anxiety, panic attacks, migraine/tension headaches, chronic pain, or insomnia. These are just some of the many examples of brainwave dysregulation that can be addressed with Neurofeedback Therapy. Neurofeedback is safe and generally causes no side-effects for most patients. The head cap with the sensors cause no pain and do not emit any type of electricity. The process serves two purposes: 1) measurement of brain waves and 2) helps therapist determine how the brain is responding to certain stimuli. With these two determinations the therapist can help the patient learn how to control their brain waves. Most patients see significant improvement in their brain dysfunction within a few weeks of consistent sessions. So often people suffering from any type of brain dysfunction is automatically given prescribed medications to relieve their symptoms. In most cases, patients feel some sort of relief with the medications, for a short while. What ends up happening is that the body can build a resistance to the drug and a doctor may prescribe a higher dose or an alternative, stronger medication. The side-effects can also compound a brain disorder. Additionally, the health risks and consequences of many mind altering medications have not been determined, especially in children. Neurofeedback therapy patients can reduce their intake of medications and in many cases they can stop taking prescribed drugs after consulting with their primary care doctors. All neurofeedback begins with a comprehensive assessment before training sessions begin. Once a client is accepted for care, he or she is e-mailed a Welcome Email with a link directing the patient to fill out various health history, current health concerns and goals, and assessments regarding metabolic and emotional function. After completing the required paperwork, assessments and receiving their neurofeedback equipment, the patient will have their Welcome Orientation Zoom Online Call. 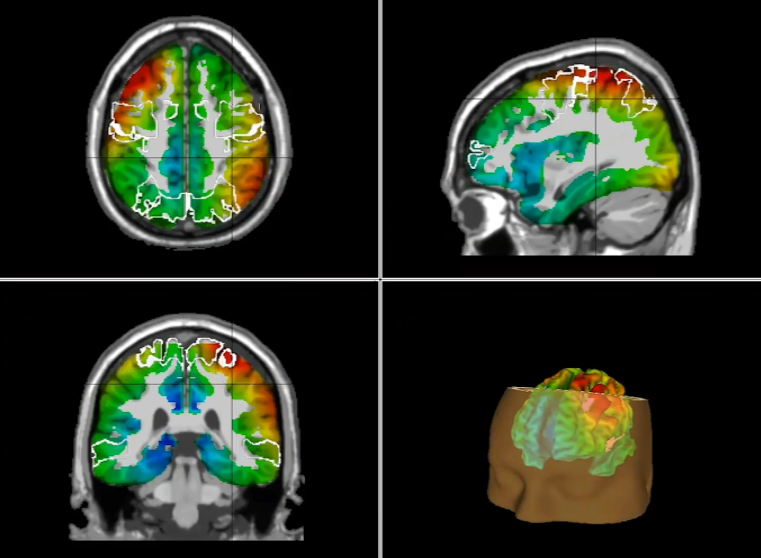 This Welcome Call also includes their day 1 qEEG brain map. The qEEG objectively and scientifically evaluates a person’s brainwave patterns. The initial diagnostic procedure consists of placing a snug cap on the head of the client. Embedded within the cap are 19 small sensors that are designed to measure and record electrical activity (or brainwaves) coming from the brain. It is important to note that these sensors do not put any electrical current into the brain – they simply record signals coming from the brain. The brainwave data recorded with the qEEG is statistically compared to a sophisticated and large normative database. This assessment procedure allows the doctor to determine in a scientifically objective manner whether a client’s brainwave patterns are different than normal. The qEEG assessment provides the doctor with the neurofeedback training protocols that will be used during training sessions. These protocols are designed to retrain the brainwave patterns towards a more optimal and regulated state. Additionally, on your Welcome Orientation Call the staff member will walk you through step-by-step on how to conduct your daily training sessions, along with information on how to use your personalize supplement plan. After the Welcome Orientation Call, you will have a live online call to review your initial Report of Findings. The intention of neurofeedback is training the brainwave patterns to normalize, thereby the brain is often better able to operate efficiently. During your 30 day rental period, you will participate in training sessions for about 60-240 minutes daily (nutritional and supplement program required for higher training times). Using the provided computer equipment, you will train daily by watching a TV show or movie on the computer. You will be connected to a computer using the same head cap with wires and sensors that you use for your brain mapping. The neurofeedback software automatically detects when the brainwaves are properly ordered. It feeds that information back to the patient. The feedback appears in the form of a TV show, a movie, or a sound which signals to the patient that the brainwaves are becoming more ordered. The computer screen will get brighter as the brainwaves normalize and become darker when they become dysregulated. The brain’s natural desire to watch the show or movie clearly will drive those neurological circuits that normalize brainwaves and allow the picture to be viewed with the correct brightness and volume. The more those circuits are driven and used, the more neuroplastic changes take hold. Simply put, the more you practice something, the better you get at it. The client learns how to use those circuits during the demands of everyday life. 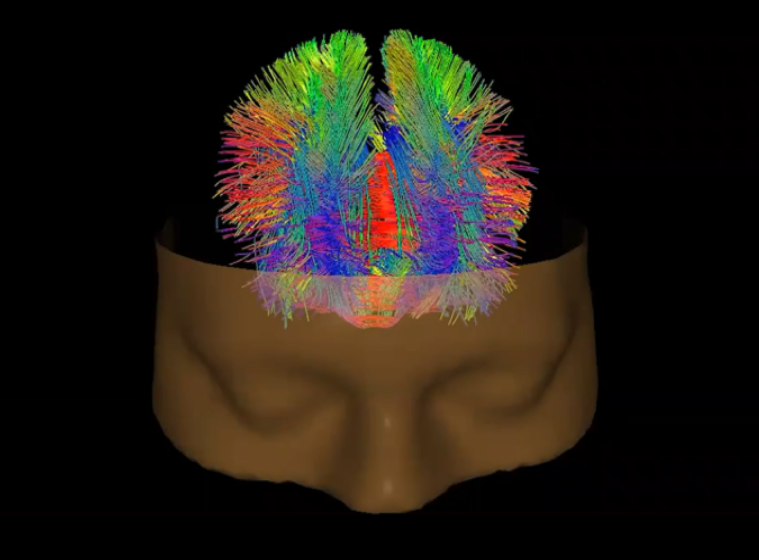 The second qEEG brain map is conducted to evaluate the progress during the first 14 days. 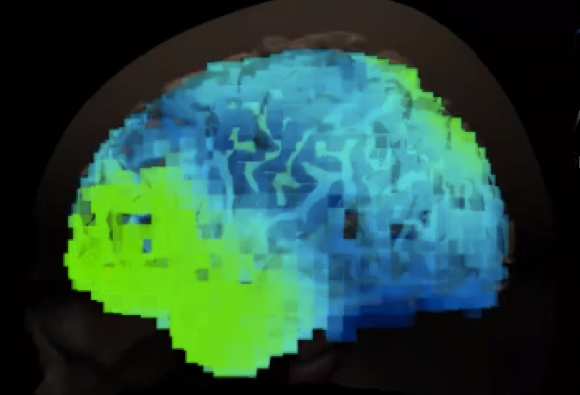 Your protocol may or may not change after this qEEG brain map based on the progress made during the first 14 days. Everyone is different and some individuals may progress slower or quicker than others based on the health concern(s) and health history. Remember, neurofeedback is not meant to treat or cure your disease or illness, but support your brain in functioning better. After your qEEG brain map you will receive a detailed Report of Findings. You will continue your daily training sessions. The final qEEG brain map is conducted to evaluate the progress during Days 15-30. After your qEEG brain map you will receive a detailed Report of Findings. Then, you congratulate yourself on a hard earned 30 days of better brain health and function! You simply ship the equipment back to our offices and we schedule a follow up call to stay updated on your progress. Names not included to protect patient confidentiality. "I was hesitant at first to do neurofeedback, but it ended up being the best thing I did for my health and brain. It was so easy to do the daily training and Dr. Mark made it very easy to understand my progress and what impact the training was having on my brain. I would definitely recommend neurofeedback to anyone!" "I have a TBI and knew that neurofeedback would help me in recovering from my injury. I committed to my daily training and saw huge increases in my brain maps from Day 1 to Day 30. I'm a homebody and don't like leaving my home and so the in-home program was perfect for me because I could get all the benefits of neurofeedback but in the comfort of my own home. Dr. Mark was very educated in presenting my brain maps and really helped me understand how my brain works." "Neurofeedback was a great natural alternative for helping with my mental health issues. It was fairly easy to incorporate into my daily life for 30 days. I invested in neurofeedback because I wanted a natural option. I had used other methods for so long and it never helped so I tried neurofeedback and it's really made a difference as I continue my recovery. " "I was surprise to see how much progress I made during the 30 days! 6 months later I can definitely tell my anxiousness and stress have decreased. I think anyone with a brain should be doing neurofeedback because of how it has just helped in so many areas. My focus, concentration, sleep are all better. I just feel like my brain is functioning better...that's the only way I can explain it." Dr. Mark DeBrincat, DC, The Good News Doctor, is a natural health doctor specializing in holistic health solutions to optimize performance, health and well-being. Having survived a near fatal head on collision that left him in a wheelchair, and enduring seven back surgeries, Dr. DeBrincat learned to overcome all odds and knows what is possible when we provide the body with the tools it needs to heal itself naturally. As a chiropractor and certified Neurofeedback Practitioner, Dr. DeBrincat has over 20 years of experience in empowering individuals in living a healthy lifestyle using natural, alternative therapies including neurofeedback, biofeedback, neurotechnology, vascular, nutritional and essential oil therapies. Dr. DeBrincat specializes in brain health and providing neurofeedback therapy to his patients in a home setting where they are most comfortable and relaxed. Having presented across the country to healthcare professionals and patients, Dr. DeBrincat brings the “The Good News” and knowledge on the body’s ability to heal itself and live pain free. 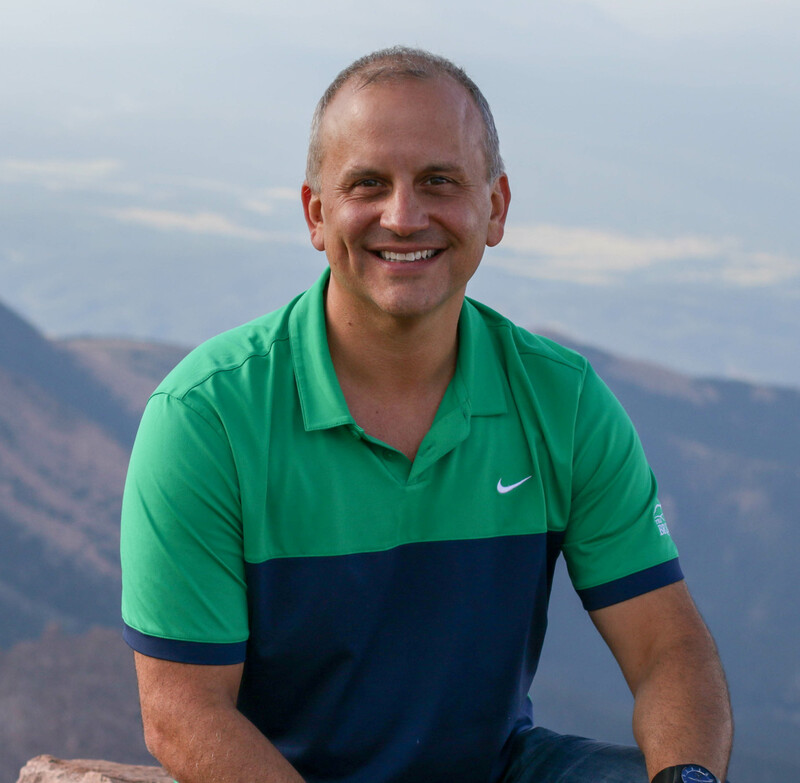 He also actively practices in Englewood, CO.
Dr. DeBrincat obtained advanced training in Gonstead Upper and Lower Extremities chiropractic techniques and utilizes Activator techniques. Additionally, he has advanced training from the International Chiropractic Pediatric Association (ICPA). Dr. DeBrincat serves as a board member on the International Board of Extremity Chiropractors and the VoxxLife Medical Advisory Board. Dr. DeBrincat earned his doctorate of chiropractic from Life University (GA) in 1997. Prior to his doctorate, he completed his undergraduate degree at Michigan State University (MI). He served as a United States, South Africa, and New Zealand team chiropractor for the 1996 Olympics. Dr. DeBrincat holds a black belt degree in Japanese Martial Arts and is the former Georgia Director for Police Trainers International. After regaining his mobility, Dr. DeBrincat now enjoys skiing, snowmobiling, and golfing with friends and family. Dr. DeBrincat currently resides just outside Denver, CO with his wife and two children. Neurofeedback Therapy is not used to treat, cure or diagnose any disease or illness. The contents of this website are for informational purposes only and are not intended to be a substitute for professional medical advice, diagnosis or treatment. Always seek the advice of your physician or qualified health provider with any questions you may have regarding a medical condition.